Thanks to my sister for sending a blanket from Kohls. Thanks to Jennifer for the 19 back packs. A homeless guy called me and wanted to thank her for the donation and said that he was surprised there was money in the back pack. I told him that we had not looked in the backpacks so I had no idea what was in the bags. We gave them out at the Homeless Congress, Metanoia (weekend overnight drop in) and to Tyrone who travels the streets at night for Care Alliance helping those resistant to shelter. The people who received them were very thankful. We got blankets from Berkshire School District and a few boxes from of essentials from a family on Friday. 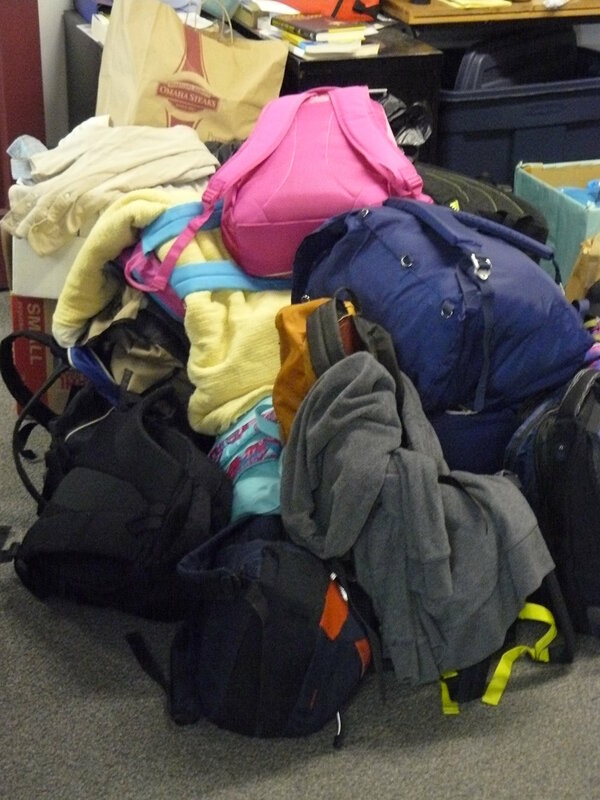 We received a couple of bags full of items from another woman last week. We appreciate anything that you can donate. Any winter items are helpful. Here are the suggested items. You can drop them off at our office from 9 to 4:30 p.m. any day. While you are doing your online Christmas shopping you can send us a donation at 3631 Perkins Ave. Suite 3A-3, Cleveland Ohio 44114. You could bring them to the Metanoia Project on Sunday December 21, 2014 at the Homeless Memorial Day at 7 p.m. when we conduct our Homeless Memorial Day. We give the items directly to people newly homeless or those who do not want to go into a shelter. We have an outreach worker, Denise, who spend 25 hours a week on the streets building a trusting relationship with homeless people. She and the other outreach workers use the donated items to help with what people needed immediately, but as the opening conversation into their long term needs. We also coordinate local outreach so many of the outreach workers show up at our office regularly to pick up items to give out on the streets. The stuff you give goes to the people in need in our city. In January, Community West Foundation is going to donate to the blanket drive with a Socks+ Campaign focusing on the hardest to collect items such as boots and winter socks. We will have more details on this in the near future.